How firmly does the Hashemite Kingdom of Jordon oppose terrorism? Very, according to its foreign minister. At least, it does when he's speaking in foreign places to foreign audiences. Kingdom renews anti-terror stand in London meeting | Jan 22, 2015 | LONDON — Jordan on Thursday reiterated its position on the war against terrorist organisations as a defence of its own security and religious beliefs. 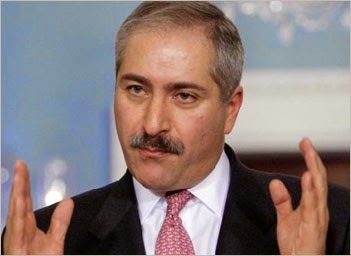 In remarks at a London-hosted meeting of partners in the international coalition fighting terrorists in Iraq and Syria, Foreign Minister Nasser Judeh said that combating extremists and their ideologies is aimed at defending Islamic values of tolerance, moderation and rejection of violence... Judeh stressed that whoever supports extremist ideology or tries to justify it is an “enemy”. From on the ground in Jordan, reality probably feels a little different from the lofty policy statements conveyed in those grand sentences delivered in the UK. 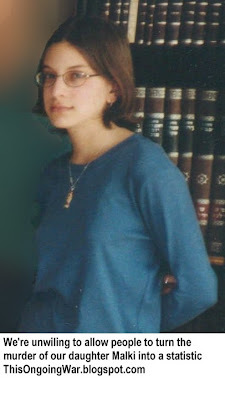 As we pointed out a few days ago, over at the Arab world's most important and promising graduate school for journalists, the Jordan Media Institute (founded and presided over by Princess Rym Al-Ali who is the king's sister-in-law and as Rym Brahimi was previously a reporter with CNN), the students very publicly declared a mass-murdering terrorist to be their "success model" in December. 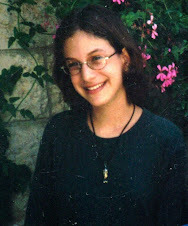 That success model murdered our daughter Malki (who was 15) and 14 other innocent Jewish victims. From what we have learned, it seems those students really meant it. As for the management of the JMI, which depends on foreign aid for its operations, they appear to be in full backside-covering mode. Our perceptions are they are far more interested in trivializing the danger, using slogans and empty words to imply positive action when there is none, and resorting to pathetic fig-leaf tactics to cover up the JMI’s moral nakedness and their tolerance of Islamist terror.